Oily skin is became a most problematic disorder for people; especially for women. Everyone in this world has wants to look smart and gorgeous; because of this they are using various cosmetic products to get bright and shiny skin. And therefore they are entrapped into these types of skin disorders circle. Mainly oily skin is caused by excessive secretion of oil by the sebaceous glands at the surface of skin; and the oil comes out from the skin pores. Oily skin can be caused by hormone changes, stress or anxiety, uneven diet, lack of nutrition diet, genetically and medication factors. Women are mostly troubling from oily skin during pregnancy, menopause and menstrual cycles. The skin is an integral part of the body, so we need to care about it. Skin care is not a big deal; it's only as like a daily routine. Oily skin can be difficult to treat quickly in natural way but there are many herbs and remedies you can use to completely cure from it. Now, we are discussing about several best herbs and ayurvedic remedies; which are effective to treat the oily skin and also useful to cure wrinkles and dark spot from the skin. Lemon is the best natural herb tree; it has antibacterial, antiseptic and antioxidant properties. Lemon is rich source of Vitamin C and also useful to cure many diseases. Take a lemon and cut it into two parts, squeeze their juice in a cup and leave on a safe place. Thereafter take the empty peel of lemon and gently rub it on your face. Wash it off with lukewarm water after 20 minutes. Do this method daily. You will get an oil free face and also gets a glowing and fairness face by this method. Take one teaspoon of both lemon juice and red tomato juice; mix it well and apply it on your face by cotton ball. Leave it at-least for 20 minutes and then wash your face with clean water. Use it daily to get a brighter and beautiful face. Take some powder of dried lemon and orange peels then therein add some honey, curd, gram-flour and rose water to make a paste. Apply it on your face and wash it after 25 minutes. This lotion or paste is works as multivitamin cream and you will get a wrinkle-less and glowing face. Aloe-Vera has antiseptic, moisturizing, antimicrobial properties. It is works as absorb agent; it is an effective lotion to absorb excess oil from skin’s surface. Cut a fresh Aloe-Vera leaf and extract out the fresh gel. Therein add some honey and mix it well to make a paste (lotion); apply this paste on your face and wash it after half an hour. Do this procedure thrice in a day. You will get a soft, shiny and glowing face in few of weeks; try it and take the benefits. Mix one teaspoons of Gram-flour, Turmeric powder and Maida-flour; and then add some honey and rose water to make a good paste or lotion. Mix well to make a fine paste. This is a best natural Multivitamins cream for face, apply it on your face and leave it for 20 minutes. Thereafter wash it with lukewarm water. Do this method once in a day to get rid from dark circles, wrinkles and oily skin. Egg-white with Honey are also an effective combination to rejuvenate depleted skin; and works for restoration of skin color. Mix 3 to 4 drops of honey into one teaspoon of curd (Yogurt); mix it properly and apply it on your face and skin. Leave it for 10 to 15 minutes then wash it from clean water. Do this method once in a day. You will get a natural glowing and soft skin and also get rid from oily skin as well as wrinkles and dark circles. Radish is a rich source of Vitamin A; it have Antiseptic, antioxidant, antibacterial and anti-irritating properties. Mix one teaspoon of radish juice and lemon juice; apply it on your face and skin. Leave it for 15 minutes and then wash it with clean water. Do this method once every day to get a soft and shiny skin; you can also get cured from acne, dark circles and wrinkles by this treatment. You can also eat raw radish and include it to your food as salad; it will helps to get rid from skin disorders. You should wash your face thrice in a day; use cotton ball to remove paste or use water. Do protect your skin and face from dust and direct sun rays. Use only cotton clothes or towel to clean your face. 1. Try to start morning walk daily and do some exercise and yoga along with meditation to stay calm and stress free. 2. Eat more Vitamins and Protein supplements; and have a sufficient nutrition diet. 3. Eat more green leafy vegetables, salad, fruits, nuts and pulses. 4. Drink 8 to 10 glass of water in a day to stay hydrate. 5. Protect your skin from infections, dust and direct sun rays. 6. Use only herbal and natural skin lotion or creams. 7. Skin is most beautiful structure or part of body; so care of it. 1. Don’t use any chemicals including products on your skin; it may harmful to skin. 2. Do not eat excessive oily food. 3. Avoid non-veg, fried, oily and fast food. 4. Use fewer intakes of tea and coffee. 5. Do not stay more in sun rays. 6. Don’t scratch or scrubbing you skin. 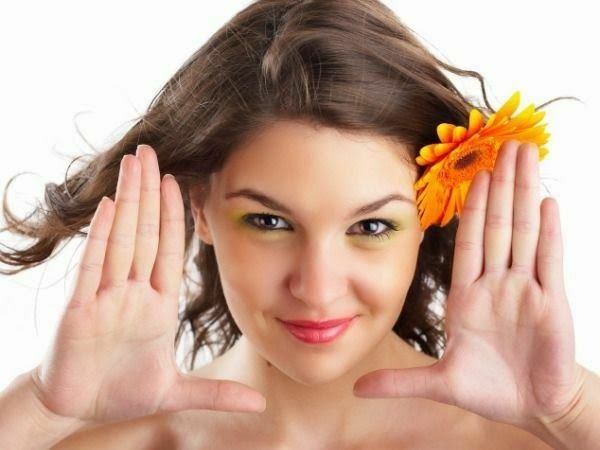 Take care of skin and try these useful remedies to get oil free skin and also get a glowing, fairness and soft skin.